Do you believe in spirits? Have you ever sensed a ghost in your home? Many people are skeptical about ghosts until they actually encounter an experience they have no other explanation for. I always believed in spirits. I may have been skeptical when I was younger, but through the years, I have had encounters several times with my dear father who had passed more than twenty years ago. Those encounters were enough for me to banish any skepticism I had. My sister is very different than me in many ways, especially her beliefs in ghosts. She never acquired ‘the gift’ of having a sixth sense and many times throughout our lives, she’d laugh at my stories and tell me I was crazy, except when I told her about my visit to heaven. She believed without a doubt I had visited our father. Something changed her beliefs though, when she moved into her current house over thirty years ago. She began to experience weird occurrences with electronics in her home. Often, her kids would watch TV in the basement and hear strange noises from upstairs when nobody else was home. Even the dogs would hide. Their TV had shut off and turned on many times through the years on its own, and they witnessed the channels changing on the TV, landing on bizarre stations, usually pertaining to death, right in the middle of watching a video on TV. Through the years, my sister and her family began to accept the fact that a spirit was living in their home, and my sister no longer denied her belief in spirits. 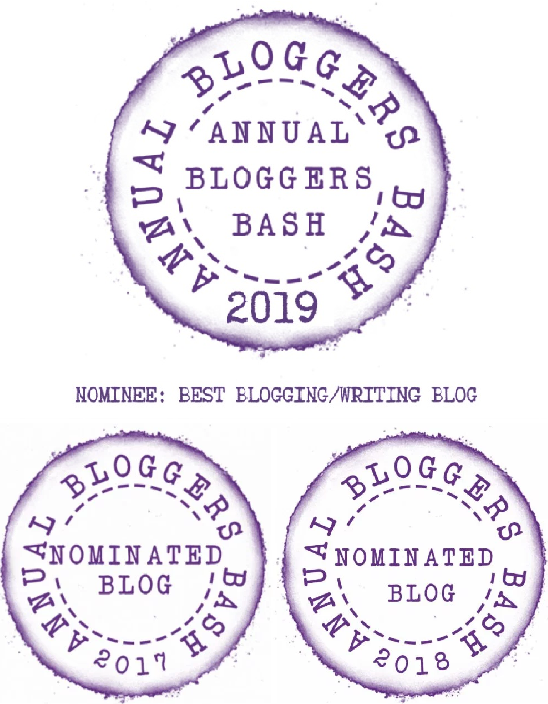 She had occasionally noticed an odd shadow cast on her bedroom wall which had no bearing on whether-or-not the sunlight shone through the window. She said the shadow was in the shape of a woman, whom she felt was with child. My sister presumed the Lady was the ghost in her house, which justified all the strange occurrences that often went on. Fast forwarding to last year, something very frightening, yet bizarre happened. While my sister and her boys were out at work, a fire started in her home. It was an unseasonably hot day and her air conditioner had also been broken for quite some time. My nephew had left the controller of one of his gaming devices on his dresser when he went to work. The dresser sat across from the southern exposed window where the sun beamed through all day with the curtains wide open. According to the firemen, these controllers have the propensity to explode in extreme heat. While the house was hot, the extreme heat for hours shone through my nephew’s window and apparently caused the controller to explode. My sister and her boys came home from work and while she started dinner, my nephew went upstairs to take a shower. He opened his bedroom door and was overwhelmed by the blackness of a smoke-filled room and the ashes still floating through the air like nuclear fallout with soot covered walls. Nothing was left unblackened in his room. He saw that the controller had melted itself into an imprint, etched deep into the dresser where the fire began. Yet, somehow it didn’t continue to spread and by some miracle extinguished itself on its own. The same shadow my sister had seen appear on her bedroom wall for years was now branded into my nephew’s dresser top. Although the fire went out, my sister called the fire department. The firemen couldn’t fathom how a fire could start and burn with nobody home all day, and not burn the house down. There was no logical explanation. But my sister knew instinctively that The Lady had saved her home and her two dogs. If you look closely at the picture, you may spot a skeleton-like skull near where the stomach would be. My sister is convinced that The Lady lived on her property years ago before the land was developed, and thinks that perhaps The Lady lost a child there, keeping her spirit around, thus protecting the home. I can’t argue with this theory. Do you have any better explanations? Have you encountered spirits? 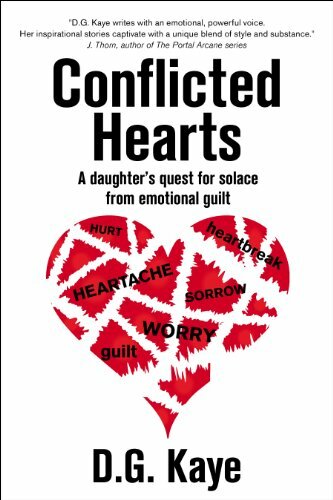 Read Stevie Turner’s review of Conflicted Hearts here. 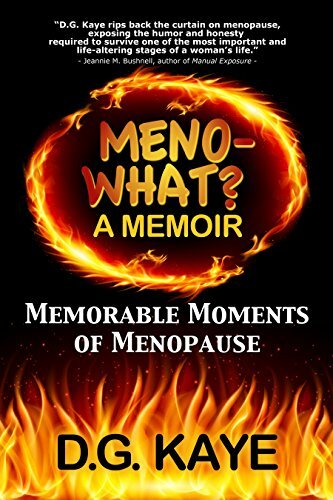 Read Tina Frisco’s review of Meno-What? here. 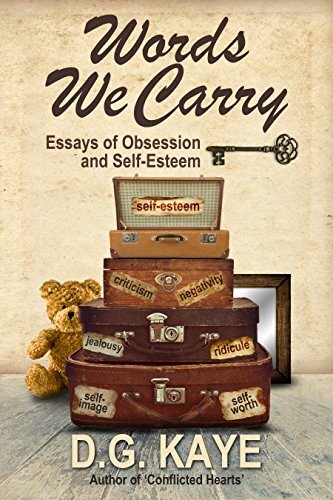 Read Judith Barrow’s review of Words We Carry here. 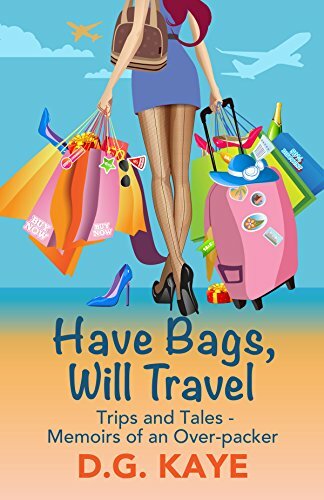 Read Christoph Fischer’s review of Have Bags Will Travel here. Read Deborah Jay’s review of P.S. I Forgive You here. 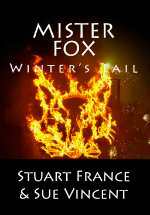 This entry was posted in Elusive realities and tagged fire, ghost, lady, mystery, presence, spirit. Bookmark the permalink. I keep an open mind when it comes to ghosts and spirits. Just this weekend I was visiting my grandparents. Speaking to my nan (who is very sensitive to strange goings-on) she told me that the other night she awoke to see a tall, dark shape standing in the doorway of her bedroom. She was startled but wasn’t afraid. She immediately thought of a gentleman she used to write to as a young girl of 18, they were pen pals. The gentleman visited her house once but her mother sent him away so they never met. She hadn’t given him a thought in decades (she is now 85). The next day, she received news that the chap in question had died. Bizarre coincidence or something more? As I say, I keep an open mind. That’s exactly what I think, too. I bet he had never forgotten my grandmother all those years and came to see her before he went. This is a fascinating post, Debby and Sue. Another fascinating story Debby. Thanks for sharing, Sue. Always a pleasure to have Debby over, Stevie. 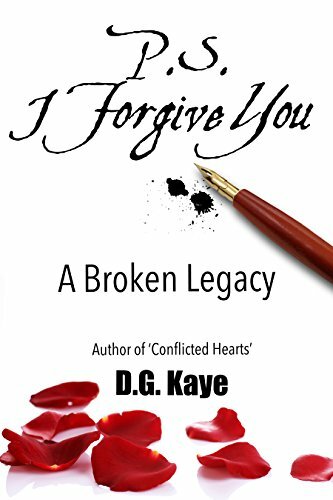 Another fascinating supernatural true event from D.G Kaye. There are so many occurrences that make keeping an open mind the only sensible thing to do. This is an incredible story. It appears the lady from the past was protecting the house. 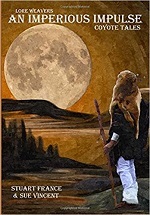 My latest book, Amanda in New Mexico – Ghosts in the Wind, broaches the subject of ghosts or spirits from a 12-year-old point of view. I hope you enjoy reading it as much as I enjoyed writing the book. Thanks! This is a wonderful memoir Debby, it is both a chilling story and at the same time warm and comforting. It is lovely to think not all manifestations mean harm and what can be quite frightening for us might simply be someone trying to communicate… in this case one mother perhaps seeking the company of another?. I think that fear of ill-intentions is more often a projection of our own fear of the unknown. Wow!😲What a great story, Debby. The image left behind on your nephew’s dresser is amazing. I immediately recognized what it was. I got chills. Thanks for sharing. Wonderful! I grew up in a house that was occupied by some spirits, so I’m a believer! I think they are around for all sorts of reasons, and more often than not, to take care of us in some way. 🙂 Thank you for sharing! D.G. 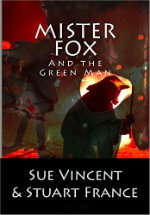 Kaye is the guest author for this post on Sue Vincent’s blog. By the way, my mom, who has dementia and hasn’t seen her sister in many years, out of the blue asked one of her friends who was visiting last week: “I wonder how Betty is?” As far as we knew she did not remember her sister at all . Last night I received a phone call that my Aunt Betty had just died unexpectedly. Coincidence? I’m sorry to hear about your loss, Pam. Debby, thanks for sharing this amazing story. I do believe that spirits protect us. Except for reading the story of the hair-puller, I’ve never seen or heard of a malevolent specter. Debby, that is so spooky – I’m so glad everyone was safe but wow, that image. I spotted what looks like an embryo even before you mentioned it…despite the heating going here, I’ve got the shivers! I’ve had a few events in my life, nothing quite this dramatic but definitely experienced ‘something’. I’ve never sensed a ghost in our house, but I have been in houses where an evil spirit felt present. When October comes to Florida, I think about an autumn tablescape. My theatrical grandson pants for the day/hour when his dad gets Hallowe’en decorations off the attic. It happened Saturday and he’s happy, happy! That gives me chills. I do believe in Guardians, such as the Lady, just never saw such an example. Great story! A gripping and unexpected ending too. Debby, that is another fascinating story. Surely it was the lady who saved the house. Miraculous! Thank goodness, as it was really her house. Has the shadow of the lady appeared since then? Has your sister researched previous owners of the house? It’s an incredible story. Wow! I don’t think I’d know what to do to help someone cross over. I hope your sister’s talking will help. Please keep me posted. I’m really enjoying these stories of the spirit world, Sue. Eerie, but fascinating. WOW! This is an amazing story, Debby. I believe the woman saved the house and watched over your sister and her family. The outline is of The Lady – this is quite the story! !